Wuthering moors 80 – another, even greater, victory! Back in May we won a significant victory against Natural England’s decision to sign an agreement with the Walshaw Moor Estate which included a new track across the protected landscape of the moor. 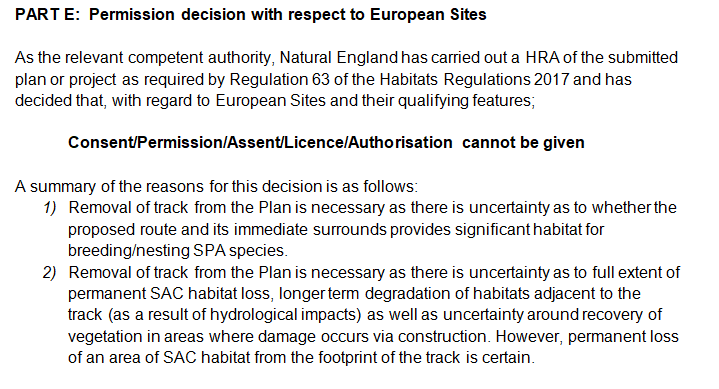 You may think that was the end of it but no, we’ve been nagging away at NE for the last few months over a new Habitats Regulations Assessment. Yesterday my lawyers heard from NE that NE has completed a new HRA and on the basis of that assessment they have written to Calderdale and Pendle local planning authorities objecting to the proposal to build a track across Walshaw Moor. That is what NE should have done right from the start but our legal challenge made them do it. It might never have happened without us – so take a bow everyone who has supported this case. 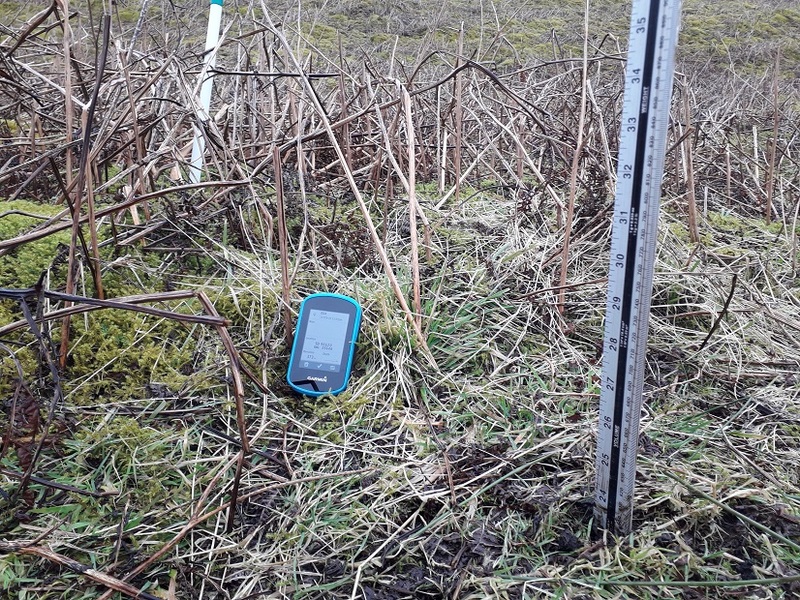 In particular, take a bow Bob Berzins who measured the peat depth along the proposed track and showed that it was significantly deeper than the planning proposal had admitted. That information certainly helped (see below). I don’t want to take anything away from Bob’s work but the result might well have been the same without that new information because the case against the track was very strong anyway – that’s why NE have objected to it in the past and that’s what made their supine acquiescence all the more craven this time around. So, not only did we win and make NE re-do their work, but when they did it properly the result came out, as it always should have done, completely differently, the exact opposite, from their first attempt. 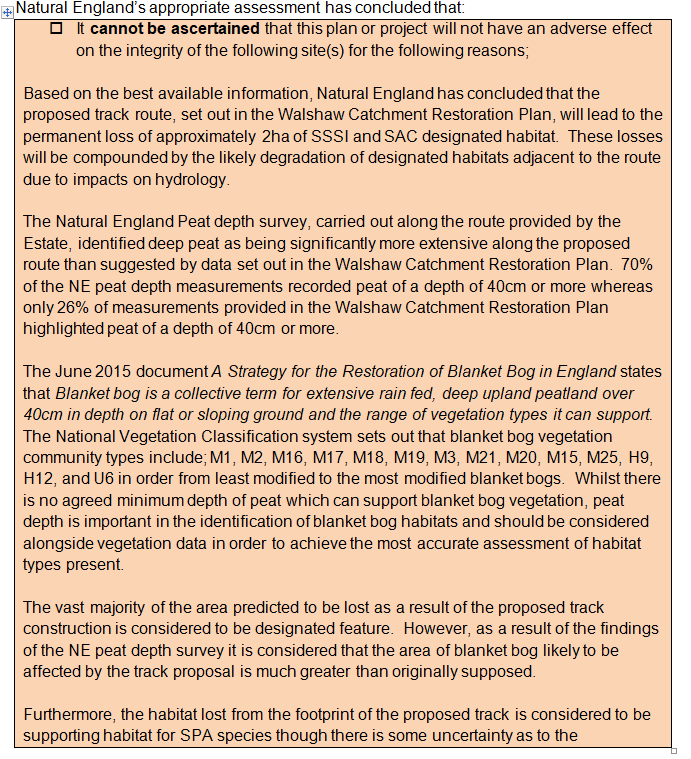 The environment, blanket bogs and moorland wildlife are now safer than they would have been without our challenge. I’m elated. Thank you to our brilliant legal team and thank you for all those who helped to make this happen. I’ll come back to this later but at the moment I am smiling from ear to ear. Well done indeed to you Mark. It I was your initiative and you lead the effort. Hats off to you. Mark and Bob, very well done. It’s a bright day for you courageous partisans of the keypad and blanket bog but an ombrogenous for one the craven NE. Absolutely brilliant! Makes such a change to read good news! Will join you in grinning for the rest of the day, Mark! Shows how we must all persevere when the cause is just and right. (Something like 'all that is necessary for the triumph of evil is that good men do nothing' ) Hope an investigation will be held by NE into who by and why the original decisions were made, though I won't hold my breath. Mairi, wouldn’t that be a great first job for the new incoming chair. Like button doesn’t seem to be working this morning, but in agreement with all the above comments. Excellent work all round. Fantastic news. Well done to you all. Congratulations to you Mark, and all others involved. Even if it is necessary to challenge all such matters in the future if NE do not change their ways I would encourage the effort. Change is it coming quickly enough for me either. There are perhaps more chinks revealed in the new assessment. The site of the proposed "road" is still used as a track, now by a tracked vehicle that covers a vast area of the moors. Fantastic work Mark. Nothing more nothing less. Logic and common sense won through. Re the continued damage caused by tracked vehicles. NE have a duty to review activities like this and the powers to stop it happening....maybe they just need a wee nudge. Well done Mark and Bob - really good news. You are building up an enviable track record. Please keep challenging - we are all right behind you. This is just Fantastic News.Thanks to You Mark ,Bob and the Great Team involved.It just shows how far uNatural England have sunk, and this Court Case against them had to be initiated ,otherwise this Road would have been passed and given the go ahead ,when we all knew what a sham it was ,as this area of Our Uplands is supposed to be some of the Most Protected Blanket Bog in the UK.This is Ground Breaking News. Wonderful news and I can't quite take it in just what a victory this is. Walshaw Moor estate has for too long ridden roughshod over the planning process and been allowed to get away with it. Now N.E need to tackle the Grouse Butts that have been put in without planning permission,the tarmac car parks that have been constructed etc,etc.But for now I will have a warm glow all day on this beautiful snowy 30th January. Ironic isn't it that, in the week the Guardian reported on the crisis at Natural England (money), the real crisis at Natural England is exposed: their inability to put natural England ahead of the wishes of the rich, powerful and their political masters, unless forced to by the threat / actuality of legal action. One day, one can only hope, its staff and management will realise what their proper role is and start working on behalf of our wildlife and the environment. Well done Mark and Bob. It is shameful that you had to go to these extremes to get to the truth. How do we follow up the other items raised in these comments I.e. 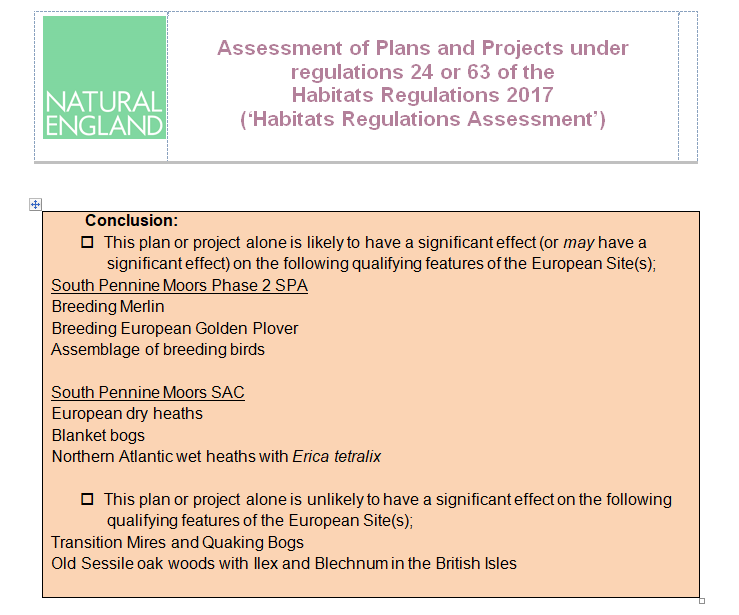 the use of the track, grouse butts etc. I would also like to know who gave the go-ahead to sign an agreement with Walshaw Moor Estates. I wonder if a FOi would produce this info. In my opinion 'Natural England' is anything but and in recent times appears to have lost it's way.